Honeywell provides multiple heating options to keep you comfortable this winter with three different tower heaters to choose from. For personal area heat, the HCC311V is the perfect companion. Featuring two heat settings, auto-off timer, tip-over switch, cool-touch housing, wide areas oscillation and a slim, space-saving design, this little heater packs a powerful punch. Moving up to the HCE322V, this larger tower heater comes with all the features of the previous model but offers a wider spread and a larger area of heating made for large areas of space. At the top of the line is the HCE323V, which features the addition of a unique safety motion sensor that senses when an option is too close to the heater, and turns off until the object is removed. This model also comes packed with a remote so you can control your heating from the comfort of your couch. Each of these tower heaters come with a 3 year limited warranty. 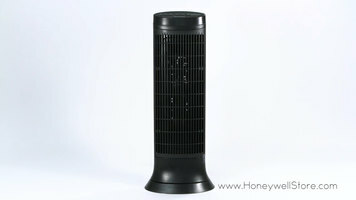 Check out Honeywell's multiple tower heaters for a convenient and effective heating solution! The Honeywell HCE322V is an excellent, easy-to-use heating solution for your establishment! 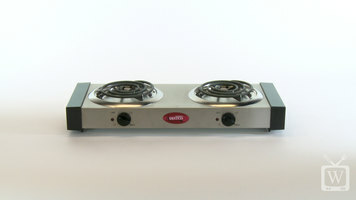 Learn about the features, advantages, and specifications of the Avantco EB102 countertop range! 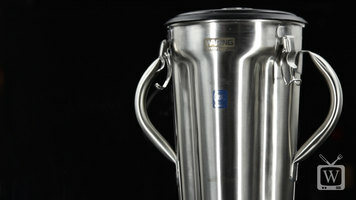 Learn the ins and outs of the Waring CB15 stainless steel top food blender!